The HTC One has been rumored to be coming to Verizon sometime this month, but of course there are a few necessary things that have to happen before a device can be released. One of those necessities is that the device has to pass through the FCC, and we are finally seeing that with the Verizon HTC One. The interesting item on the FCC report for the Verizon variant of the HTC One is that the device still has the full set of CDMA, GSM, and LTE radios in it, although only the Verizon bands were tested. 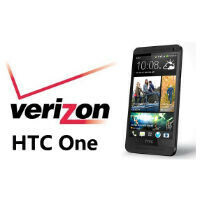 But, this could mean that the HTC One will be a global phone from Verizon and support international SIM cards. We'll have to verify that. Over the One already...and Verizon! March: "So, everyone's talking about this HTC One thing. Pfft. Good luck with that, HTC. You're nothing without the Droid name." April: "Yeah, we don't need the One. We have the Droid DNA." May: "...okay, people are still talking about the One. We don't need that, right? We've got this Droid DNA 2 thing planned. That'll be way bigger than the One." June: "Eh, screw the Droid DNA 2. Ahem...BIG NEWS! We're gonna sell the ONE! But we won't tell you when. P A R T A Y!" July: "BIG NEWS! We've got a new DROID ULTRA on the way!! Oh, and the One." of course it'll be a Global Phone. most high-end Verizon devices are now globally supported.